This detailed Shadow Jago collectible figure was created straight from the in-game 3-D model from the hit fighting video game, Killer Instinct. Wielding his serrated saw blade and posed in his iconic fight stance, the 6-inch scale Shadow Jago is prepared to take on anyone! The sword can be stored between his chain armor or posed in his hand for lethal weapon-based articulation. Figure can stand alone or be placed on the included base styled in the theme of his game background. 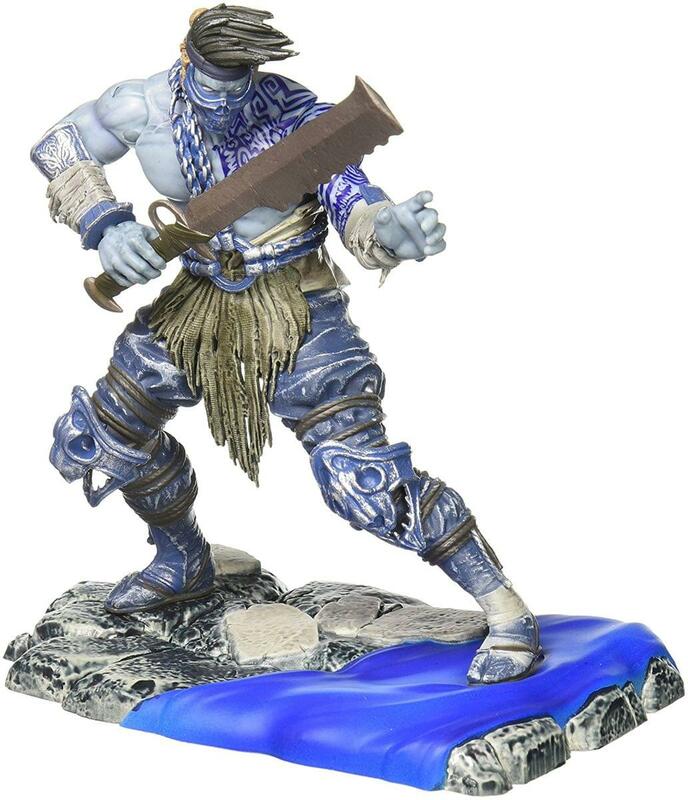 This detailed Shadow Jago collectible figure was created straight from the in-game 3-D model from the hit fighting video game, Killer Instinct. Wielding his serrated saw blade and posed in his iconic fight stance, Shadow Jago is prepared to take on anyone! The sword can be stored between his chain armor or posed in his hand for lethal weapon-based articulation. Figure can stand alone or be placed on the included base styled in the theme of his game background.